If I asked you for a word to describe EVE Online, chances are you would say ‘sandbox’. If I asked you for an expression to describe low security space, it is reasonable to assume you would say ‘PvP’. 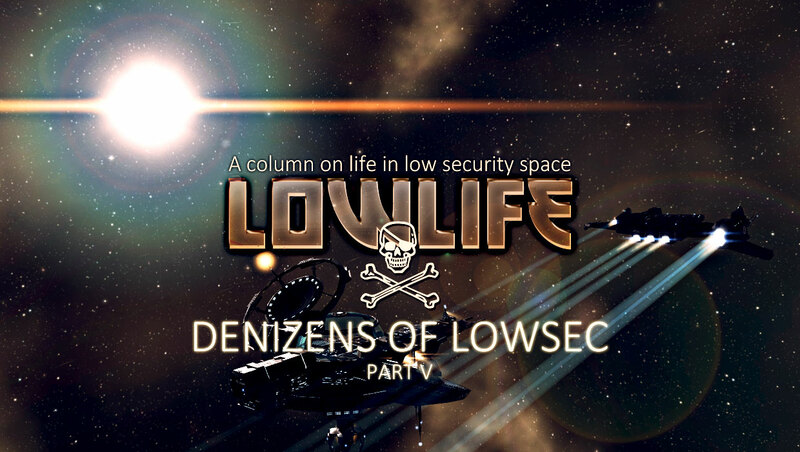 The kind of lowsec inhabitant we’ll be dissecting in this final Denizens of Lowsec series article is a product of the first and anathema to the latter. There is no shortage of opinions when it comes to the farmers of Faction Warfare lowsec. In fact it is a reliable way to start a threadnought on your favorite EVE Online forum. When doing research for this article I spoke to members from all sides of the lowsec community; Factional Warfare militia as well as pirates and outlaws. From the lowly grunt to the highest echelons of lowsec leadership, as well as a CSM 9 lowsec candidate. I wanted to see where people land on this subject. The responses I got were immediate, plentiful, lengthy and passionate. What this illustrates to me is that it is an issue people feel strongly about, and an inventory of the denizens of lowsec would not be complete without discussing it. To understand what people are so worked up about you need to first understand the nature of the farmers and why they exist. So let’s take it from the top. As I have explained before, plexes are the basis for system control in Faction Warfare. Officially they are called Factional Warfare Dungeons, but in reality this term is never used. The plexes are ‘run’ by entering them through a gate (all but the large ones that lack a gate) and staying within 30 km of the structure inside for a certain period of time. The time required depends on the size of the plex and if it has been run by an enemy in the other direction. Running the timer also requires that only friendly forces are within the 30 km radius. Successfully completing a plex moves the system towards ‘vulnerable’ or ‘ stable’, depending on who completes it, and grants the capturer LP from their faction. The idea behind FW plexes was to make it profitable to engage in Factional Warfare and control territory. It did not take long after the system was launched until people started ‘farming’ them however. Turning the plexes into ATM’s rather than conflict drivers. Farming was not just an individual endeavour. Along with elements in the militias themselves, corporations and alliances came in from the outside to make money in Faction Warfare lowsec. For instance, we saw alliances like Nulli Secunda come in to the Amarr / Minmatar war zone, push for the higher tiers, and check out when profits were maximized. So much so that it prompted CCP to remove the system whereby a higher tier would result in lower LP costs for items. The profits were reduced, but the culture of farming in Faction Warfare remained. This type of syndicate loyalty point agriculture, if you will, had become a ‘thing’, and was done repeated times by other entities. More recently in the Gallente / Caldari war zone by Test Alliance Please Ignore who came in after their loss in the Fountain war. Although some were interested in fighting many more were intent on farming loyalty points and avoiding PvP as best they could (you can listen to my piece on this here, read by CSM 8 Ali Aras, courtesy of Declarations of War podcast). 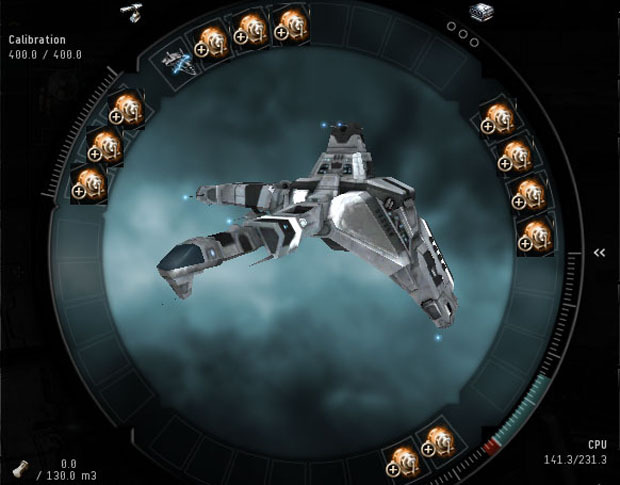 The war zone was flooded with frigates fitted to the gills with cloaking devices and warp core stabilizers, hiding and running at the first sight of danger – much to the ire of those living in lowsec for the fights. As it so often is with these things; the plebs will riot in the streets and with endless clamour voice their displeasure at the state of things, but when the dust settles and it has come time for solutions only a resolute few will raise their voice. And even then, many rushed ideas falter under the burden of common sense and contemplation of the delicate nature of freedom in EVE. Sifting through the myriad of proposed concepts reveals some matured schools of thought however, ranging from the timid to the aggressive. The more extreme suggest that fitted warp core stabilizers and cloaks should disallow plex capture – forcing those that have no intention of fighting to be more on their guard, and reducing the appeal of farming. The argument is that WCS and cloaks are a crutches that encourage cowardice and inactivity. The reserved will warn that this is the slippery slope of meddling with the sandbox. The infringement on personal freedom for the perceived greater good is seen as a dangerous path to step down. The arguments are reminiscent of the classic freedom versus security debate we have become accustom to outside of EVE. While both sides have merit, these are ideas that should not be taken lightly. One of the most cherished qualities in EVE online is freedom, and that freedom lives a fragile life. The other side of that coin is that probably the most valued trait of lowsec for many of those that call it home is PvP. This type of semi-afk farming is seen as the antithesis to that ideology, and it is considered by some that re-vamped mechanics should actively enforce change. As always the answer probably lies in temperance and sober contemplation of ramifications. A recurring proposal that falls under this category is the timer rollback idea. It would mean that when a plex is left, or when a cloak is activated, the timer would automatically start going backwards, eventually reverting to its neutral state. The core values of this concept are that earning by running FW plexes should still be viable, but that the focus would be moved slightly in favor of fighting to defend this source of income, rather than employ tactics and fittings to skirt around doing so. Yet another philosophy, that cannot be ignored, became apparent; there are those that believe the status quo should be maintained. The main argument from this camp are that any changes of the sort mentioned above would be an infringement on the personal carte blanche so valued in the EVE community. Another associated point worth noting is that some believe that plex farming is a lifeline for new pilots in lowsec that would otherwise find it very hard to make ISK. At the root of this whole discussion is the feeling from many lowsec inhabitants that their home is treated as a bank rather than a source of content. While it is easy to blame the farmers themselves, the truth lies in the path of least resistance. It is a matter of what behaviour mechanics encourage. PvP or ISK farming. In an ideal world it would be not PvP vs ISK, but PvP = ISK. Accomplishing that is an extremely difficult task, and it can be safely said that no-one yet possesses a viable answer to the riddle. But it can be argued that the community is mature enough to be considering well educated steps in that direction.